Former Virginia Beach Education Foundation (VBEF) president Tom Wilson was a leader in his community who supported education his entire life. Therefore, it is befitting that a VBEF grant awarded to support leadership training for students was underwritten by The Tom Wilson Memorial Fund. Wilson passed away in June 2013, and the family asked that memorial donations be made to his favorite organizations, such as the VBEF. 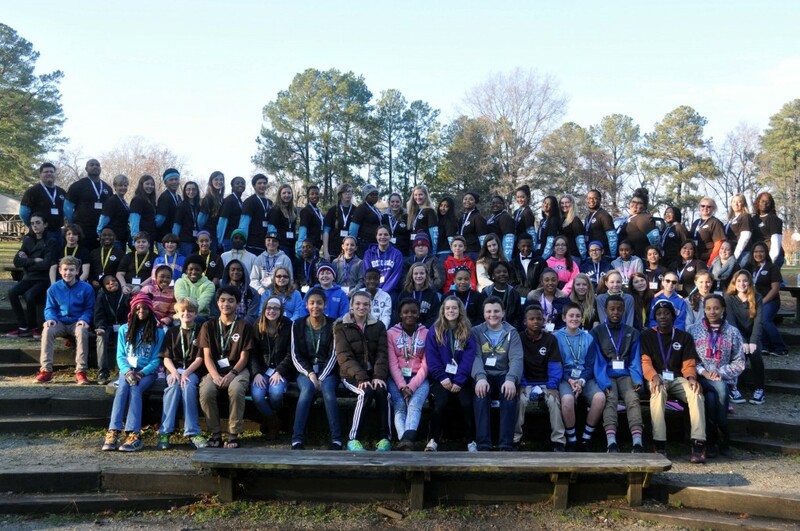 The VBEF Innovative Learning Grant awarded to Independence Middle School (IMS) helped fund its 2015 leadership workshop held at Jamestown 4H Camp Jan. 17-18. More than 50 student delegates attended the overnight, weekend workshop that was planned by a student staff comprised of IMS eighth-graders and students from three different high schools. 2015 IMS Leadership Workshop participants at Jamestown 4H Camp. Chris Felton, IMS student activities coordinator and grant project director, said that a majority of the student staff members from Bayside, First Colonial and Princess Anne high schools attended IMS and went to the middle school’s first leadership workshop four years ago as eighth-graders. Decision making, communication, group dynamics and personal responsibility were among the skills and topics covered in instructional sessions. Activities also included community service, recreation and meals together as well as group projects designed for students to apply and practice their communication, collaboration and problem-solving skills. 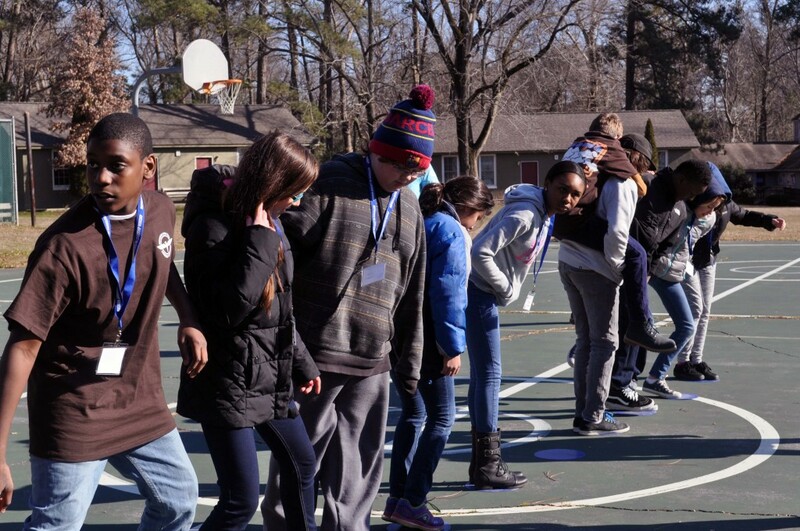 Students worked through group challenges in teambuilding activities. The path to wisdom and success is not for the kings alone; it is open to you and me. If there are a hundred steps in your path to success and you have not reached it in 99 of them, do not conclude that the journey is a failure. The prizes are generally at the end of the effort, not at its beginning. 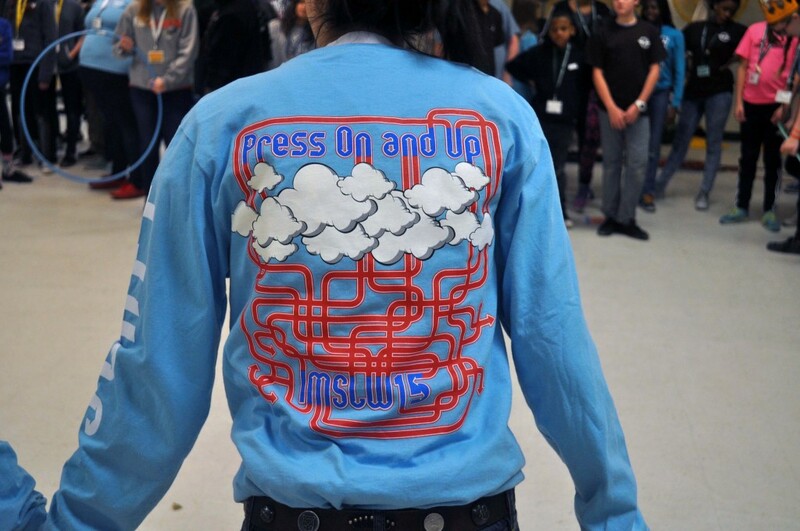 “Press On and Up” was the IMS workshop theme. Stepping out of their comfort zone is what Simmons observed many workshop participants doing. Working together. Love. Support. Encouragement. The former VBEF president Wilson couldn’t have planned it better himself. For more information about the Virginia Beach Education Foundation or to make a donation to support grants that fund innovative and creative learning programs for students, visit www.vbef.org. View additional 2014-15 VBEF grant projects and those from previous years here.